PayPal investment could be the best and secure way to invest your money online. But you need to know where to invest your money to get a higher return. This post will describe you how to and where to invest your money. Before entering into deep, let know some basics about PayPal and forex. If you use the internet to make online payments or transfers, then you certainly will be familiar with the name PayPal. PayPal is one of the safest and most convenient ways to make financial transactions online. It offers a secure service through which funds can be transferred from one PayPal account to another. Most PayPal users has some money in their wallet either from a recent deposit or from sales made or even some left over balance amount that apparently look insignificant to the owner. It is therefore not surprising that many have not utilized the available opportunity of investing with PayPal funds. That insignificant amount in your PayPal wallet can be turned into a high yielding investment. As we all know Forex (FX) stands for foreign exchange. It is the exchange market that deals in currencies rather than commodities. Exchanging currencies tends to be more volatile than other market exchanges because it has more impact on the daily business life than any other thing. Stock investments will fluctuate over but not in an amount that will so directly impact daily operating expenses. Exchange rates can be affected by certain factors which includes long term effects such as interest rates and economic performance reports as well as immediate effects such as sentiments towards current political news. Also included is an element of forecasting involved with determining the value of currencies, as investors try to predict the value and strength of a currency in the near future? The Forex market is a fast one, and due to its faster nature, the instantaneous moving of funds from one Forex account to another will work best. In as much as many Banks and financial institutions allow for online transfers, effective funding usually takes too long a time to complete processing. Also, when transferring money between accounts managed by different brokers, there may be the need to have the deposits instantaneously cleared. This situation advantages PayPal investment above others. Although, it can’t be said that no electronic financial service is infallible or without its challenges, the reputation of PayPal has soared in terms of security and reliability. They have the widest acceptance among other e-wallets providers. Their service can be run in almost all countries of the world and they have a well-established process of securing transaction and disputing charges. Verification of accounts are usually through strict measures which gives more surety that the person on the other end is not a fake user, neither a shell company. This plays an important role as you consider the funds and investor may deposit and transfer to a broker. Even if the amount is huge you can be rest assured that the money is going to a genuine person. And that is the reason, you can will remain safe while you make PayPal investment. Another reason why PayPal investment via brokers is better is that of creating a very strong electronic trail of all transactions. Unlike banks that may use different forms of documenting deposits and transfers, both parties using the same PayPal service, have identical documentation structure. With this tracking and resolving any difficulties will be much easier. Also with one source for the tracking data it helps with dispute resolution unlike with multiple streams. Some Forex brokers these days allow clients to invest with PayPal funds for because of its great convenience and security in transferring funds online. In as much as companies allowing PayPal investments can be preferred above others that do not allow it, it is still expedient that you filter the best among the equals. After much research and reviews, we came up Markets.com to be the best Broker for PayPal investment. Markets.com is one of the best several online trading brands that is owned by Safecap Investment Ltd, Cypriot investment firm (CIF) regulated by the Cyprus Securities Exchange Commission (CYSEC). With that Markets.com has become MiFiD compliant and legally authorized to operate anywhere within the Eurozone. Moreover, Markets.com is licensed by South African Services Board (FSB) as a financial services provider. This is to comply with local regulatory requirements. 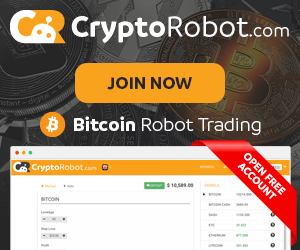 Once you sign up and verify your details you can start trading online. When trading at Markets.com, you will benefit from tight spreads, zero commission and leverage ratio of up to 1:300 (Default leverage 1:50 T&C apply). Markets.com offers a number of tools for traders to take advantage of, which includes stop-loss, take profit, entry limit, and entry stop orders. Traders can also benefit from customizable charts, studies, in-depth analysis, the economic calendar, and accurate trading signals. With this they design their own unique trading strategy. With Markets.com you can manage your account over mobile or web. The two platforms support instant deposit, fast withdrawals and documents uploading. There is also an in-house developed cutting-edge mobile app, available for all Android and iOS smartphones. These friendly user mobile app allows you to trade on-the-go, while accessing dynamic tools and enjoying state-of-the-art trading technologies. You can get the Markets.com App in the App Store or Google Play. Markets.com has the best trading platform. It is one of the leading platforms available today. The tools it offers are advanced research and trading tools, with advanced features and they do not require any download. Having acquired the basic understanding of PayPal e-wallet is all about and the amazing features of Markets.com Brokerage Company. The emphasis from this article is to help you know that you can easily invest your PayPal funds via Markets.com. Markets.com has all the features that will make your PayPal investment very profitable without any issues.